Joshua Gino Dimizio Vasquez (Josh) has had a love for computers and graphic design since he used his first "Mac" in Kindergarten. He graduated high school in 2005 and from College in 2008. Josh has always had a desire to learn more about computers, graphic design and photography and has taught himself through videos, websites, and books. Even as a young teenager, Josh began to enhance his own surroundings through graphic design and photography, and this business was birthed in his heart. 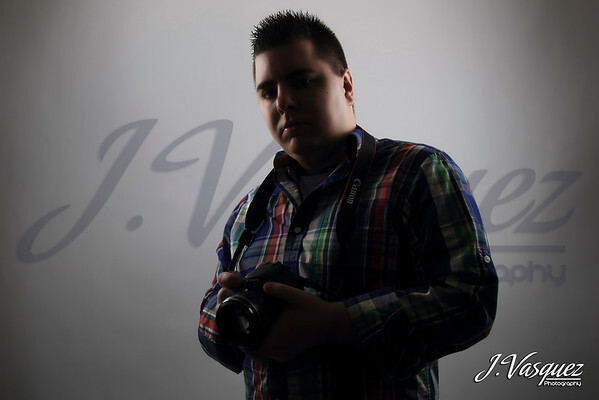 J. Vasquez Photography finally became a reality in 2006. Since that time, Josh has helped many different people locally and all across America. He has worked part-time in 3 different locations strictly with graphics and photography. Currently he is in the Baton Rouge area of Louisiana running his business on his own providing graphic design and photography to all of Louisiana and anyone who needs it. The goal of J. Vasquez Photography is to provide first-class, high quality, graphics and photography at a reasonable cost!